As much as we stress about Valentine's Day, it really is simple. Just make sure your partner feels loved and adored! An easy step is surprising them with something romantic and perfectly them. 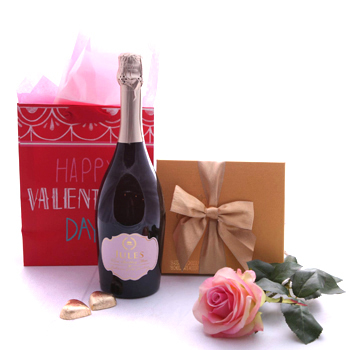 Send this bottle of sweet Rose Sparkling Wine (750 ml), with one captivating pink Long Stem Rose, and box of decadent Chocolates (125 gr). Their heart will melt and they'll be all yours this Valentine's Day with A Box Of Love.